Welcome Home to St. Peter's Anglican Church in beautiful Dorchester, Ontario. 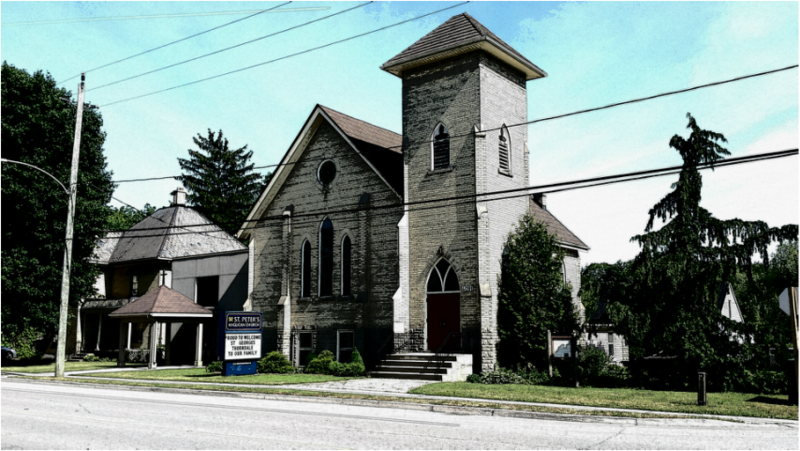 Situated in the Southwestern Ontario village of Dorchester, St. Peter's is a joyous, inclusive, vibrant, unique Anglican community; interconnected with Dorchester and the World, giving and receiving God's life-giving love! Attawandaron (Neutral) and Wendat peoples. This territory is covered by the Upper Canada Treaties. - Rev'd Patty has office hours at St. Peter's, Thursday as posted. If you would like to make an appointment for a home visit at a different time, please call 519-719-8227. ​- Choir practice in the Worship Space, every Thursday 7:30pm. Send us your comments, suggestions or questions.